Activities and events play a crucial role in maintaining a healthy body, mind, and spirit in the elderly. As our loved ones age, they can become bored, isolated, and disconnected, especially if they are suffering from physical or cognitive disabilities. Research from the University College London has shown that boredom can be a factor for increased risk of heart disease and stroke(1), as well as in promoting depression in senior citizens. To help our residents reach their highest possible mental and physical functional status, we recognize that staying active and connected to others is one of the building blocks for improved physical and emotional health, and cognitive function. Our facility is designed with several common areas, which provide opportunities for socializing and for observing the daily business of the center, as well as for activities specifically targeted at engaging and stimulating the mental processes of seniors. 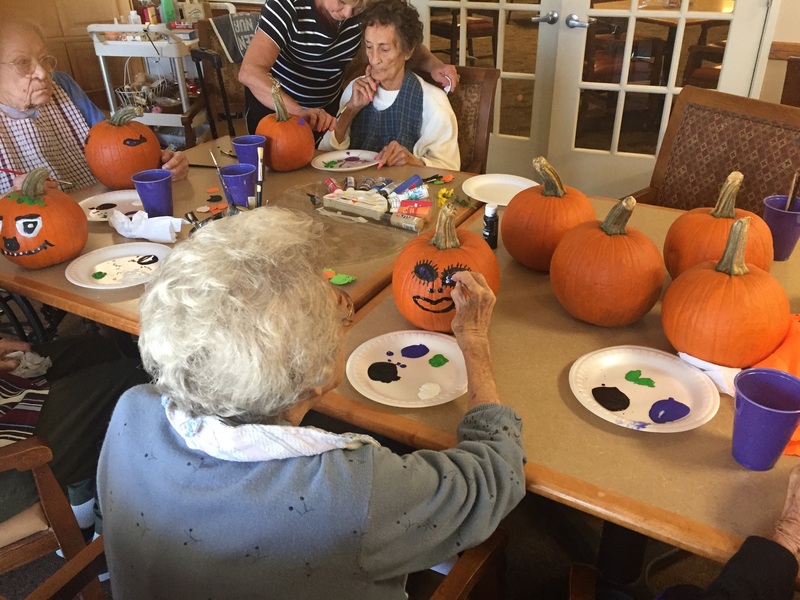 We design our activities to with our residents’ preferences and needs in mind (bingo is a favorite! ), while encouraging them to try new things (pumpkin bowling at our Fall Festival). The research is clear that a mixture of physical activity, mental stimulation, and socialization contribute to a more comfortable and happier life for our aging loved ones. to learn about the ways Red Bud can improve the quality of life for your loved one.